"and the installation was dead simple. Quality of the parts looks superior to the oem originals I pulled out of the carbs too. All packaging was clearly marked and if you've pulled the carbs on your bike apart before, as I have, the install couldn't be easier. I'll write another review once I get the bike back up and running with the new exhaust and everything reinstalled. Hoping this set gets my cafe racer project moving nice and quick after it's all back together!" "Top quality!! fast delivery. Bike runs so smooth up through the range now. Starts cold without the choke. 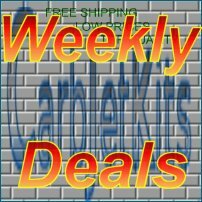 Highly recommend Carbjetkits!!" "The perfect remedy for the weak factory jetting. The bike now runs with no hiccups anywhere in the rpm range. The online instructions are spot-on. Thanks for everything!" "This company has their **** together. I just bought a jet kit using their jet kit calculaotor for my 2000 Honda vlx 600. After buying a high performance air filter and different (louder pipes) They hit the jet sizes right on. (I have great performance & plug readings) It was shipped for free, and in my mail box in 3 days! Not to mention a super great deal. I was looking into spending around 75 bones on a name brand jet kit. Got what I needed from them for 16. THUMBS UP FOR CARBJETKITS.COM !!" "Great product. Thanks for making it so quick and easy for me to find the parts I need for the extream mods on my bike. No more pop and crack in my exhaust.......I also apreiciate the excelent and prompt service. You get good reviews and recomendations on the honda forums and now I know why. " " two years and many dollars later you fix my bike for under 49 dollars you guys rock!!! !thank you so much your online calculations were spot on thanks!!" Guys I just installed the jet kit on my Goldwing...OMG what a difference just a few sizes larger makes!! So smooth across the power band...no more flat spot off idle. Thank you..thank you...thank you! I will tell all my buddies about you guys!" "The kit was priced right, easy to install and customer service from the seller was quick to respond with clear answers. The kit worked as indicated. great deal." "Purchased the BRT-36 for my 96 Honda Magna. Great application!! Using clear lens the red LEDs..."
"Absolutely wonderful customer service! The representatives helped me choose the correct jets for..."